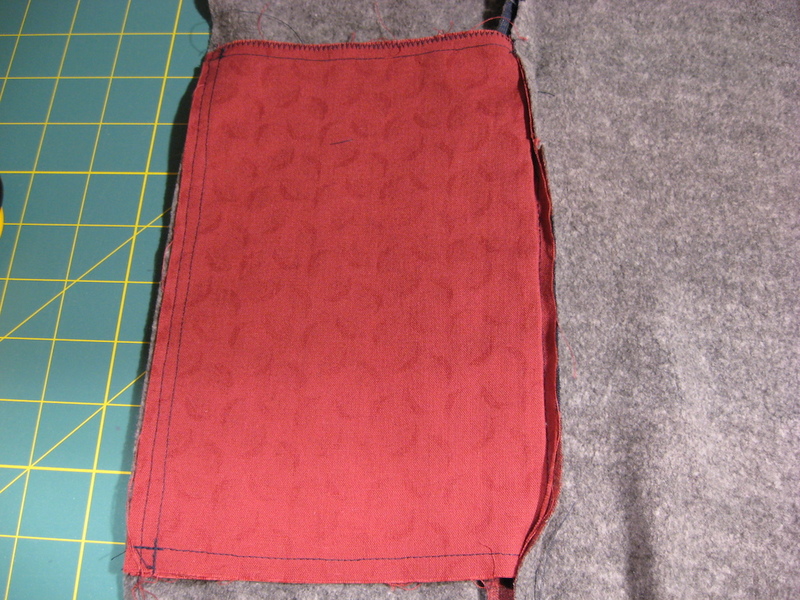 Before we get going on the next hoodie in the series, a few more photos of the muslin. All said and done, the most visible issue in the final product is the stripes not registering properly on the seam between yoke and front panel. This entry was posted in Completed Projects, Coverstitch, Outerwear, Sergers and tagged Hoodies on March 30, 2014 by mportuesisf. 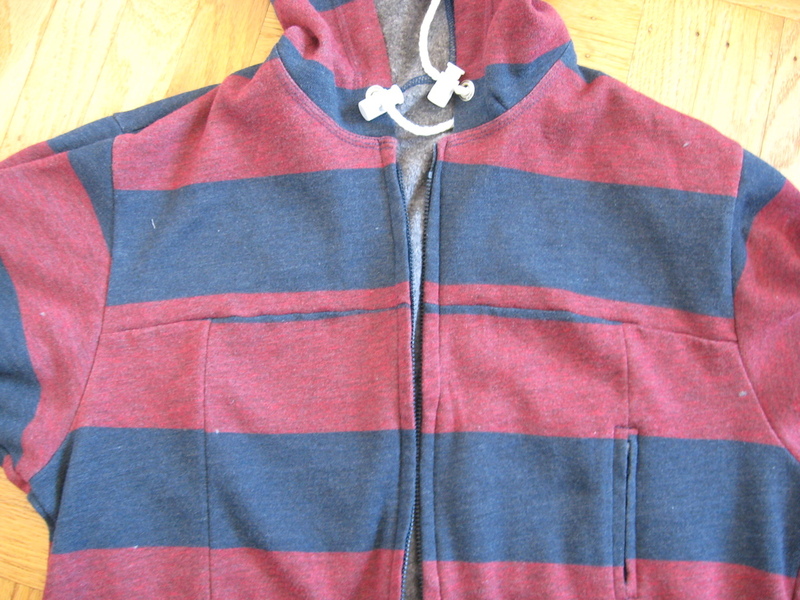 I didn’t want to keep my readers waiting, so here’s a few quick pics I snapped of the finished hoodie with my phone. It came out looking much nicer than all of the mistakes would lead you to believe. I haven’t yet worn it out of the house, but my coworkers want me to wear it to work next week. This entry was posted in Completed Projects, Knits, Outerwear and tagged Hoodies on March 22, 2014 by mportuesisf. 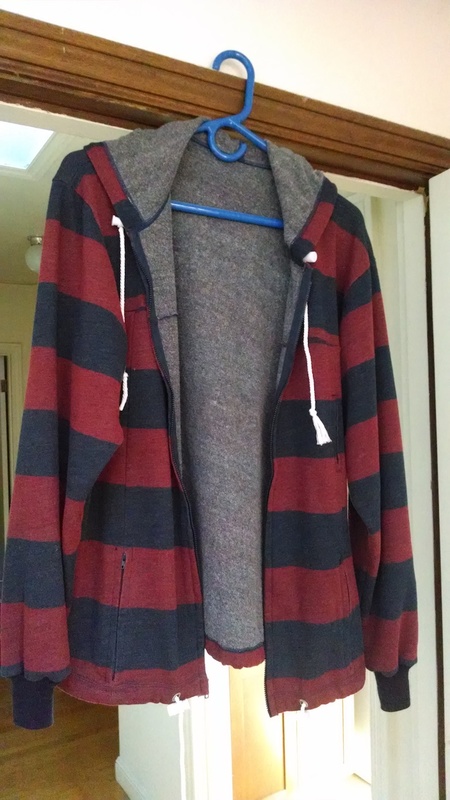 It took me a while, but I finished the muslin for my hoodie project this past weekend. Between a busy work schedule and weekend events, it’s been difficult to squeeze in sewing time lately! I can say I can definitely call this hoodie a muslin, because it was difficult to make and it is filled with mistakes. Most of them I was able to fix, but the end result is something I can charitably call a “learning experience”. This entry was posted in Knits, Outerwear and tagged Hoodies on March 19, 2014 by mportuesisf.